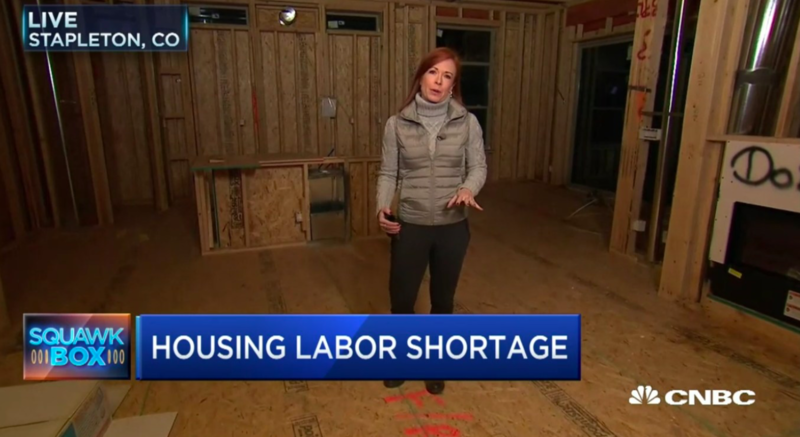 CNBC’s Realty Check is reporting that home builders across the country are having trouble finding workers to build homes. Reporter Diana Olick cites a home builder in Denver, CO, where homes are taking about two months longer to build and there are instances of contractors doubling their wages just to keep workers from skipping to the next job site. In addition, she reports that wages in the residential building industry are growing at twice the rate of wages in the overall economy. Click here to read the full story on CNBC.